Toyota Motors launched the hatchback car version of its Etios sedan named Liva in June 2011. The diesel model was launched in September two years back. The Japanese auto major is now celebrating the second anniversary of these models. As part of the celebrations, the company has introduced Xclusive editions of Toyota cars, the hatchback Liva and its sedan counterpart. The market slowdown has affected sales of most brands. The launch of special editions and special discounts are marketing strategies undertaken by companies to stir up interest on their products. To keep up with the spirit of exclusivity, only 1000 cars will be available with the xclusive tag. 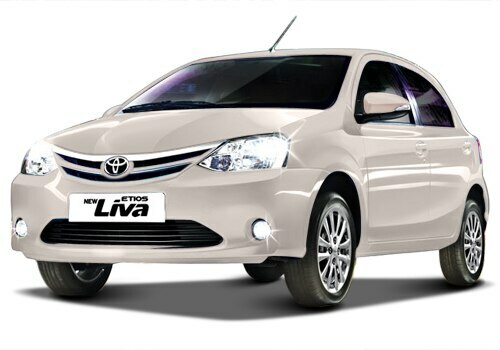 The current Toyota Etios Liva price for the mid-level varint G trim across Delhi showrooms is Rs.489,849. The new price for the limited edition G trim will be Rs. 495,349 which is Rs.5,500 higher. Similarly the current price for GD (diesel) version is Rs. 599,900. The price of new version will be Rs. 605,400. The new variant will be available only on the G and GD trims. The xclusive edition will be available in both petrol and diesel models. 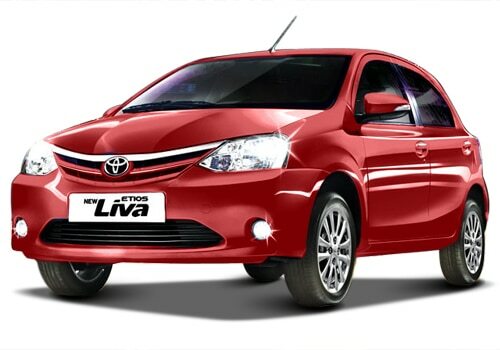 The Toyota Etios Liva features which are upgraded in the new version are chiefly cosmetic. These cars will now get dual-tone premium interiors, chrome finish on the gear knob and premium fabric for the seats. In addition to this, the buyers will also get the high-end audio system with Bluetooth and remote that does its duty in the V variants. Toyota Etios Liva pictures of the upcoming models also reveal an additional Xclusive badge on the boot lid to distinguish it from the regular models. It is expected that the special editions will be available in three color options – grey, white and black. Toyota Etios Liva G trim also boasts of a cooled glove box, power windows, power steering with tilt and internally adjustable wing mirrors. There will be no changes under the hood. The petrol version will feature the 1.2 liter four cylinder engine that can output a maximum power of 80 PS and a maximum torque of 104 Nm. A 1.4 liter D-4D four cylinder diesel engine powers the diesel variant. This common rail direct injection engine has the capability to churn out 68 PS of power and a torque of 170 Nm. Both the powertrains are coupled with a five speed manual gearbox. The petrol variant returns a good mileage of 17.71kmpl and the fuel-efficiency of the diesel vehicle is impressive with a reported mileage of 23.59kmpl and Toyota also added some new innovative and creatove features in Toyota Innova for better performance.